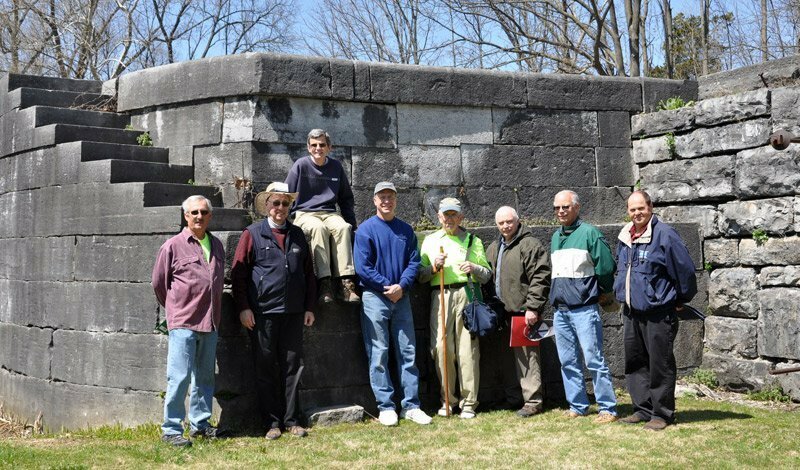 The New York State Canal Corporation and the Village of Lyons, Wayne County, have officially opened the Lyons waterfront improvements along the Erie Canal at North Side Canal Park. The opening event also welcomed the 2010 World Canals Conference International Flotilla which was en route to Rochester. The project, partially funded through an Erie Canal Greenway Grant, provided new docks on both sides of the Erie Canal and additional improvements to the boating area and park. The flotilla was bound for Rochester as part of the 2010 World Canals Conference September 20-24. Included in the flotilla were boats from the Canal Corporation’s historic and working fleet, historic tugboats, and a variety of recreational pleasure craft. From the junction of the Erie Canal and Genesee River the fleet traveled north along the Genesee River, in a grand parade to Corn Hill Landing in Rochester. Directions to the North Side Canal Park in Lyons: Take NYS Thruway (I-90) to Interchange 42 (Geneva, Lyons, Route 14) toward Sodus Point. Turn left to Route 14 North. Turn left onto Water Street. Municipal parking is available adjacent to the Firehouse. 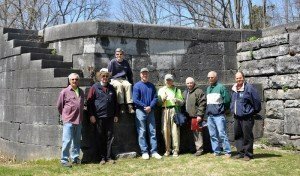 Cobblestone Quest &#8211 Road Tours of New York’s Historic Buildings is a great new resource of self-guided tours to visit and learn about cobblestone buildings that were built in Western New York State before the Civil War. Part of our pioneer history, cobblestone buildings are buildings built with stones that can be held in one hand (as opposed to pebbles, or boulders). According to the guide, which was written by Rich and Sue Freeman (Sue also runs one of favorite blogs &#8211 New York Outdoors), the word cobblestone comes from the Middle English cob meaning a rounded lump and ston, for small rock. The Freemans have divided the cobblestone building period into three eras: The Early Period (1825-11835) which features crude irregular designs of stones of vary shapes and color. The Middle Period (1835-1845) is distinguished by the use of smaller stones set in more geometrical patterns. In the final period, designated by the Freemans as the Late Period (1845 to the Civil War), stones of uniform color and shape were used with almost machine-like precision. Although cobblestone building began on farms where the stones were plentiful after the clearing of fields, the building method did eventually move into villages in smaller numbers. 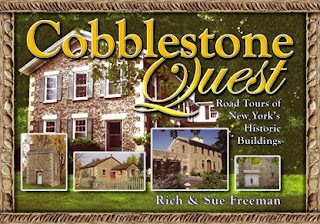 The book is filled with facts about cobblestone construction methods and the Freemans are quick to note that &#8220cobblestone is a construction method, not an architectural style.&#8221 Most of the buildings featured in the book are Greek Revival, although some are Federal, Gothic Revival, Italianate, Post Colonial and Victorian style. Cobblestone Quest features 17 tours through western New York between Syracuse and Buffalo, plus lots of other resources, including cobblestone museums, bed & breakfasts, restaurants, antique shops and galleries, a guide for owners, an index and bibliography, and a more. It’s available from Footprint Press for $19.95.